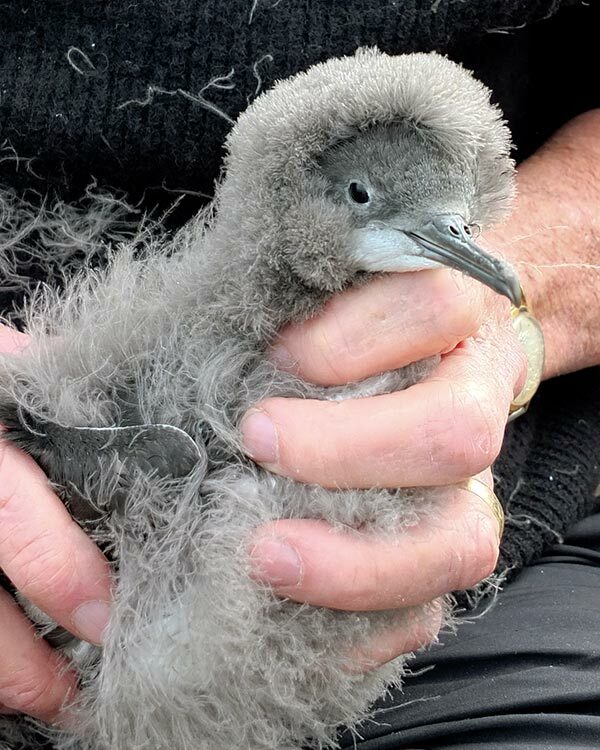 Following a three-year trial period of translocating Hutton’s Shearwater chicks from the mountains to the man-made colony (Te Rae o Atiu) on the Kaikoura Peninsula, monitoring of bird numbers began by the Hutton’s Shearwater Charitable Trust. A predator-proof fence around the colony was completed in 2010. 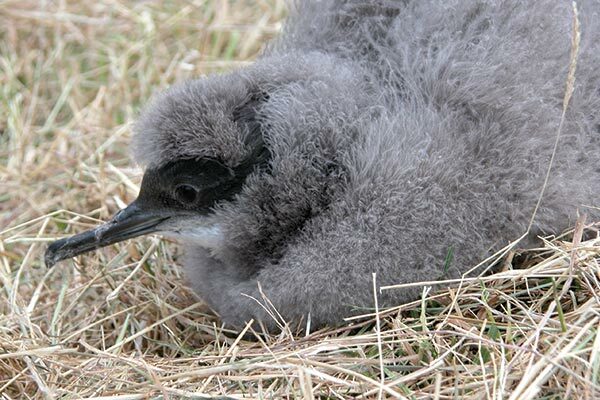 After fledging from Te Rae o Atiu, the chicks fly to the coast of Australia and return around three years later to this new colony to breed. 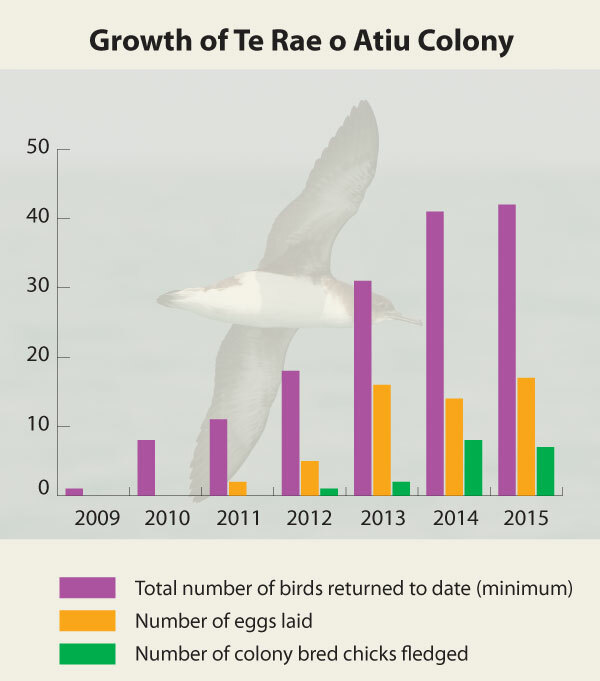 Within 10-15 years there should be enough birds returning to make this a sustainable colony. 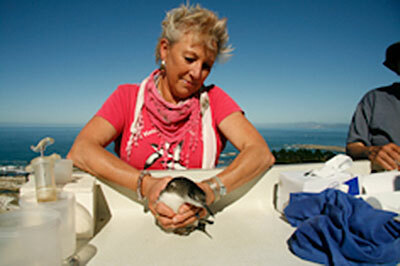 Nicky MacArthur, a trustee, holds a Hutton’s Shearwater chick. 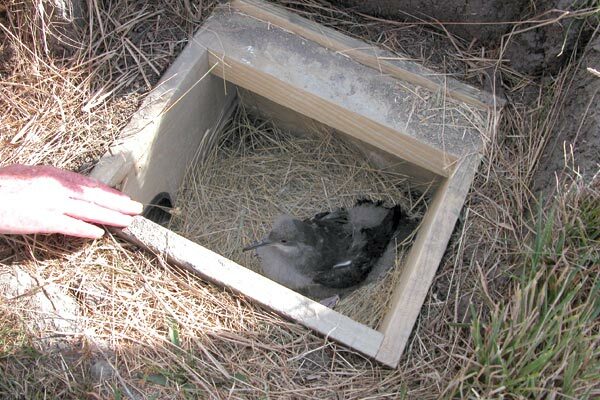 A Hutton’s Shearwater chick settles into a nesting box at Te Rae o Atiu. 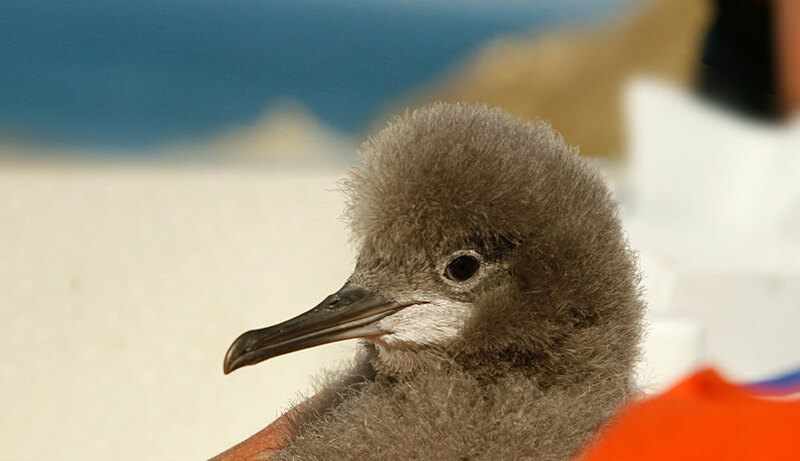 It is thought that this is the largest transfer of seabird chicks from the wild to create a new colony anywhere in the world. All photos supplied by Nicky McArthur.